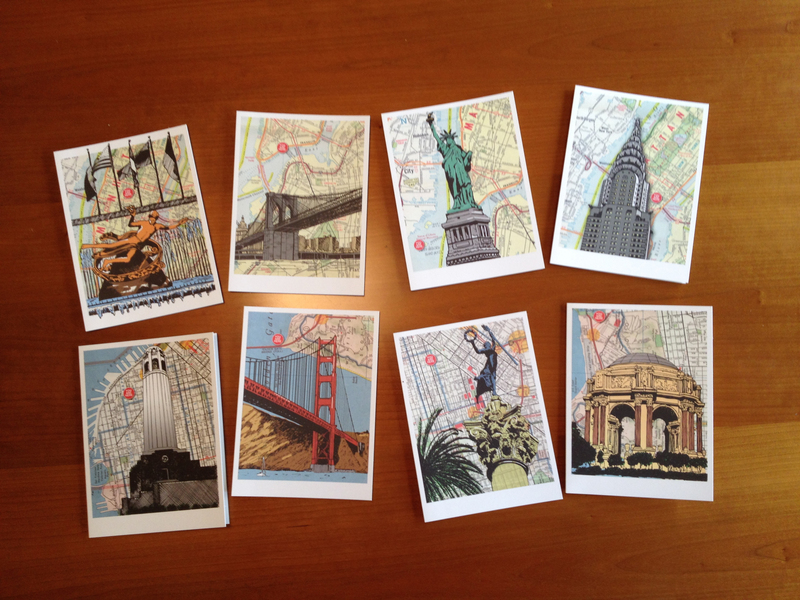 Allport Editions has published eight new cards of our prints. This is an entry that was lingering in my list of posts and labelled as “draft.” We thought it had already been published, but alas. 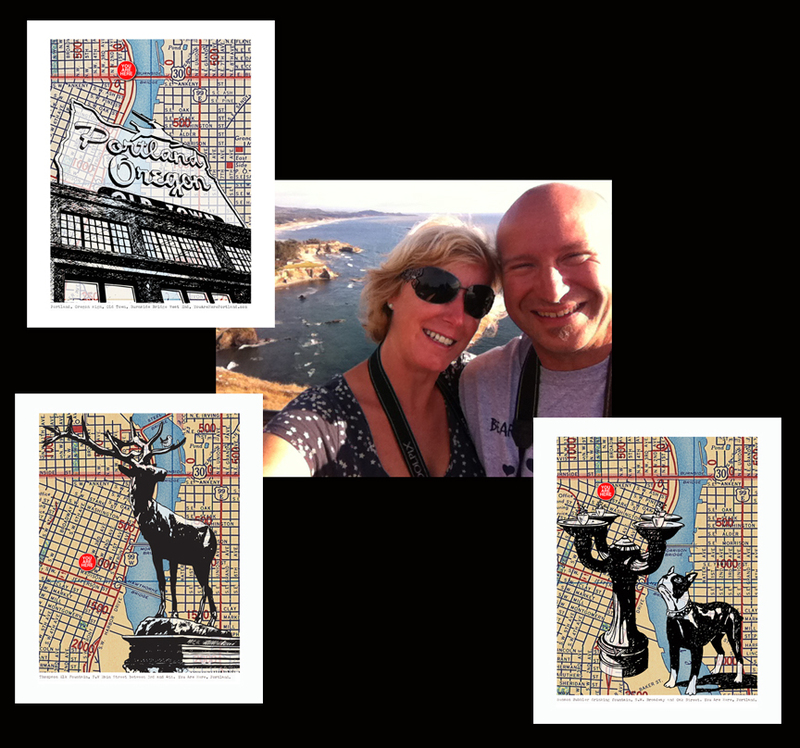 With our prints on display at the famous Powell’s City of Books, unusual events can happen. It turns out that a tourist couple from Belgium had seen the show and wanted to buy three prints as “souvenirs of Portland.” They had been wrongfully told by a Powell’s employee that they couldn’t have the prints until the show comes down. (That is true of the framed prints, but we had supplied Powells with a stash of unframed prints to distribute). In the email, they included screen captures of the prints they wanted, a very effective means of communication. When we told them we could meet them and deliver the prints, they were delighted. They asked if we could meet under the Weather Machine at Pioneer Courthouse Square and a rendevouz was arranged. It was also a pleasure for us to meet the artists behind that lovely artwork. We will give it a nice place in our house and it will remind us of the good time we had in Portland. Indeed, we enjoyed being here. The city has a very pleasant and European feel, people are kind and relaxed, there are good beers, good food,… The good life! We also appreciate that you took the effort to come and meet us with the prints! 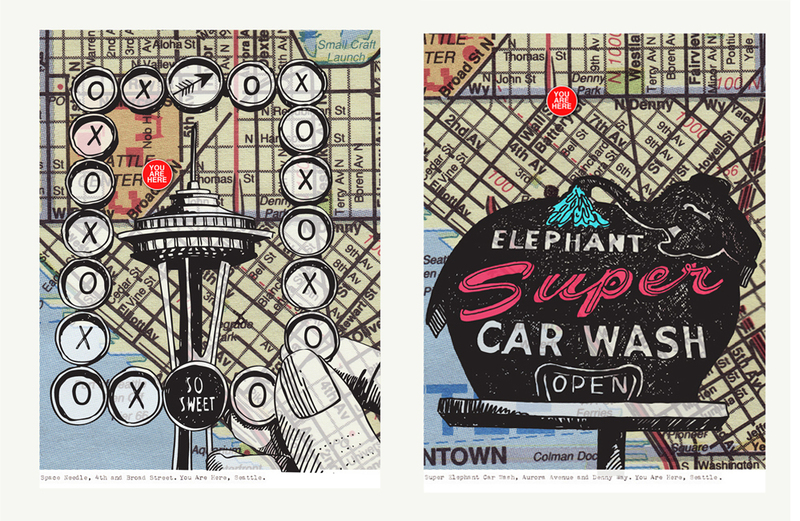 We’ve added two new stockists recently, one in Seattle and one in San Francisco. Urban Bazaar at 1371 9th Avenue, San Francisco, (415) 664-4422. 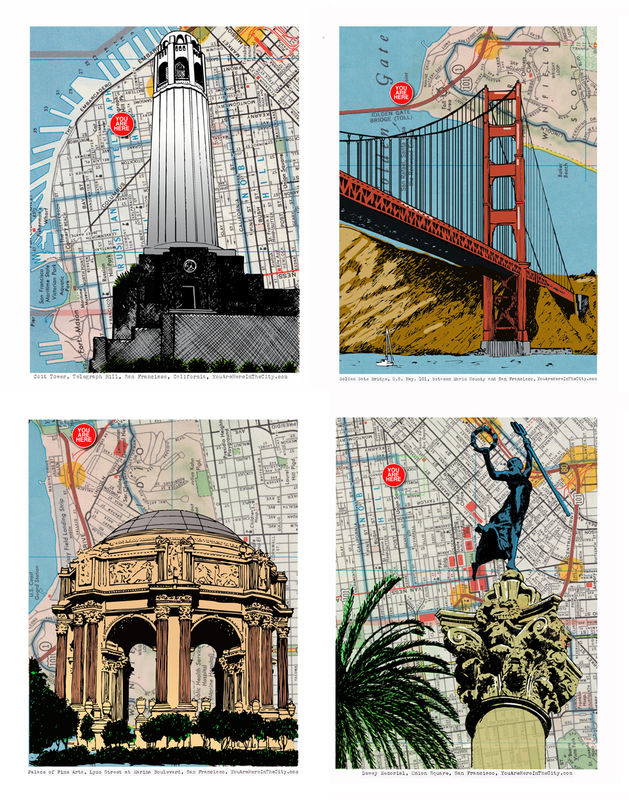 You can find a selection of our prints, specifically geared towards their locations, at either location.